Back in the summer, I shared a post from my day out with Pergola on the Roof. Well, due to it's amazing success, it's back and better than ever with a special Winter Edition. 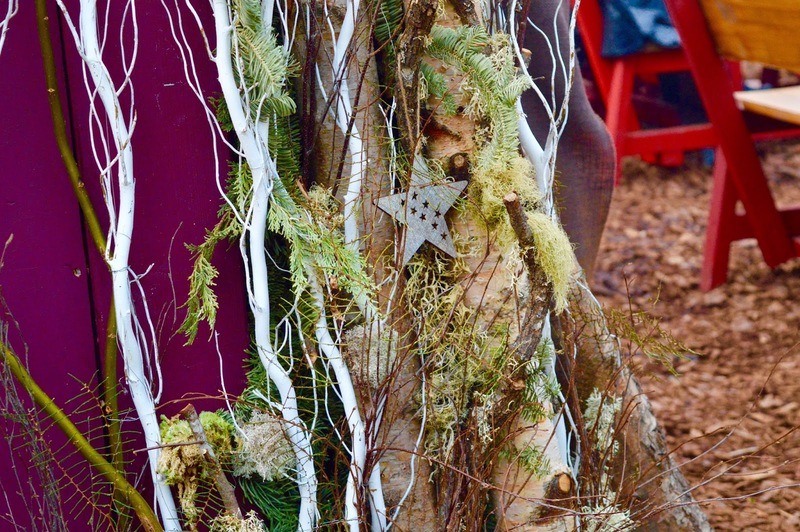 Now transformed to a Nordic-themed Winter wonderland, Jack and I popped back to sample it's Christmassy delights. 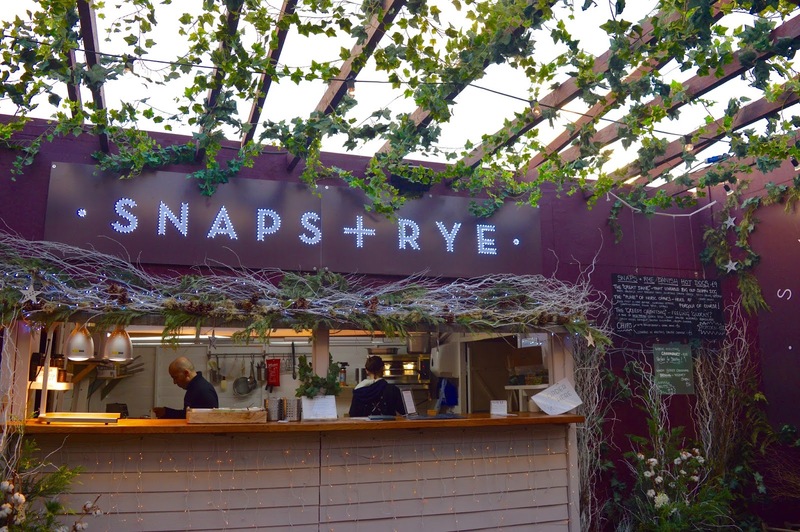 The pop-up located on the roof of the iconic Television Centre may have gone away temporarily in Autumn, but it's back just in time for Christmas. 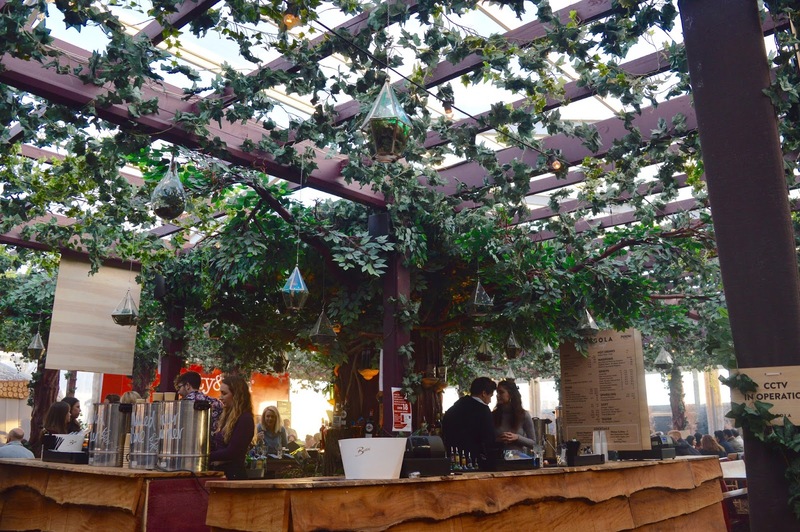 Once decorated with flowers and sun loungers, Pergola on the Roof is now a Nordic inspired food hall and bar complete with tea-lights, yule logs and Christmas trees. 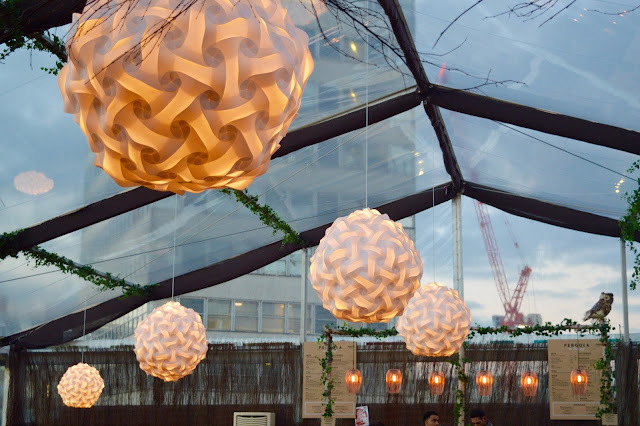 Fully covered by a heated dome to lock out all the cold wind and rain, Pergola still has 600 seats, 2 bars and 4 restaurants although the restaurants have changed slightly since the Summer. Instead, this season features a whole new array of pop-up treats including Danish restaurant, Snaps & Rye; gourmet kebabs from Le Bab, Patty & Bun and Le Bao. Excited to try out some Danish delights, I opted for the 'Great Dane' Danish Hot Dog. 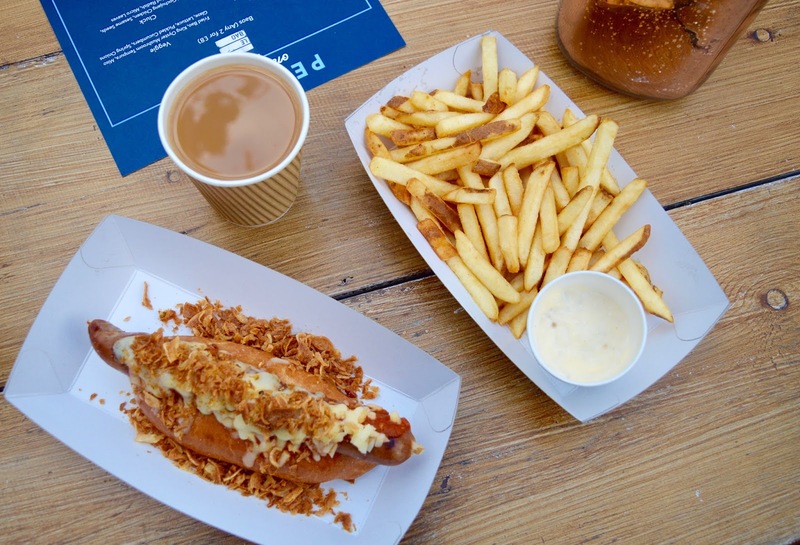 Exclusively available at Pergola, this pork sausage dog comes served in an Artisan Bakery demi-brioche bun; topped with crispy onions, malt rarebit sauce, scorched Camembert cheese and spicy Viking ketchup. With my eyes far too big for my belly, I also added a side of chips which also comes with Danish squash and caper mayo. The hot dog itself was bursting with flavour and had the perfect ratio of topping and meat. 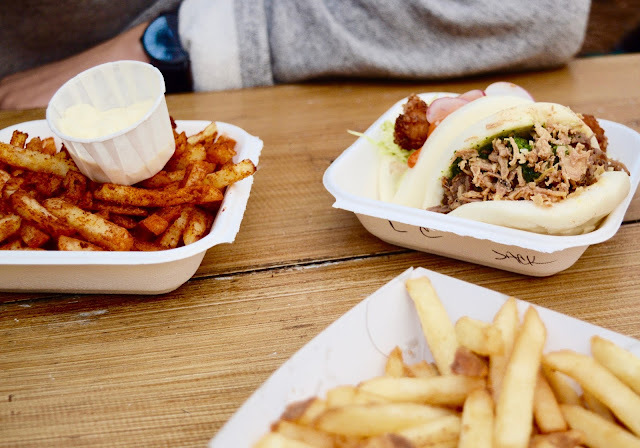 Jack, however, went straight in with some Le Bao buns. 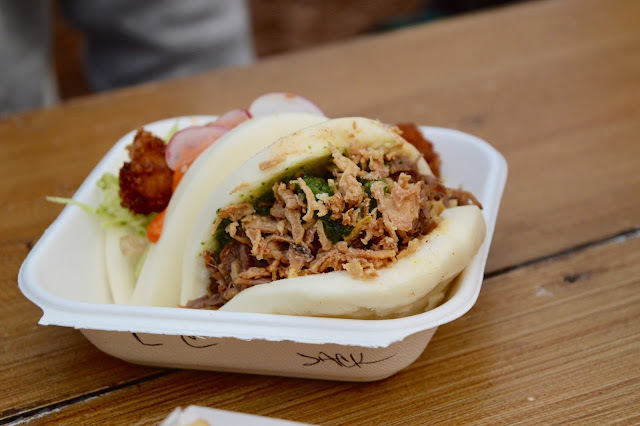 These tasty little steam buns have truly taken the foodie community by storm lately as the 'latest trendy dish'. Taking a modern twist on traditional Bao (a fluffy steamed bun filled with steamed meat), these were made with soy milk meaning they are vegan friendly. Jack tried out the chicken and lamb options - both of which were amazing. I had some serious food envy watching him eat these and so it seemed only fair that I try them out for myself. 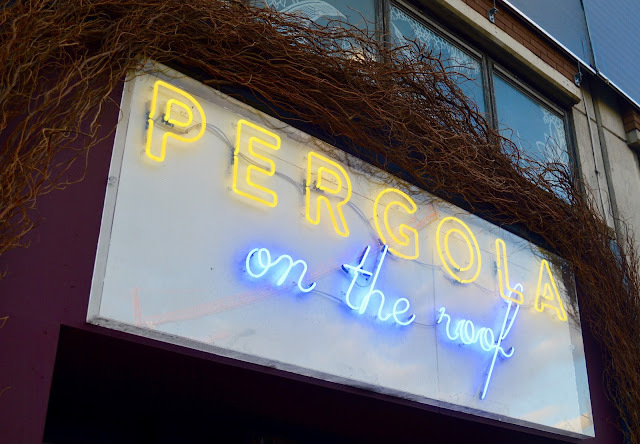 All in all - we had a fantastic few hours trying out the wintery delights at Pergola on the Roof. Personally, I actually preferred the Winter theme to the Summer as I just loved all the lights and Christmas decorations. 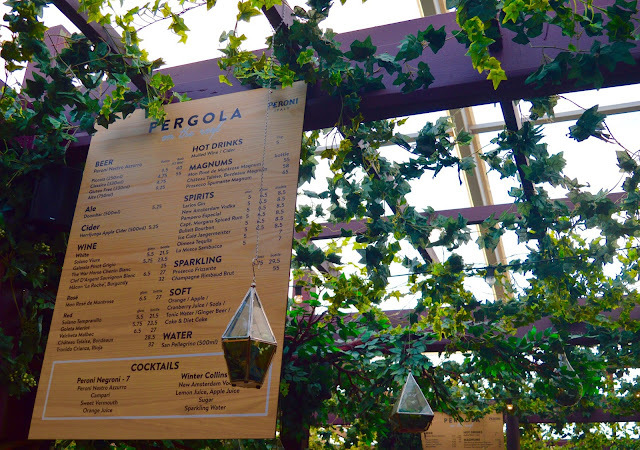 Pergola at Television Centre closes on the 23rd of December so get your bookings in quick or pop by if you're in White City. 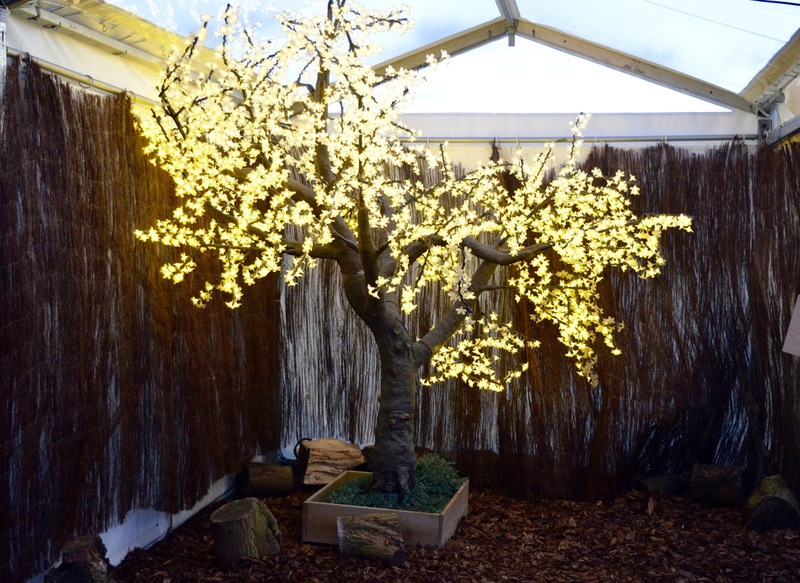 Don't forget you can also subscribe online via the Pergola website to get a free mulled cider. Having now tried both terms, I think it makes for a fantastic London venue and I'm excited to see whether they'll renew their licence for 2017. That's it for another lifestyle post. Have you been to Pergola on the Roof yet? Where are your favourite wintery spots in London? 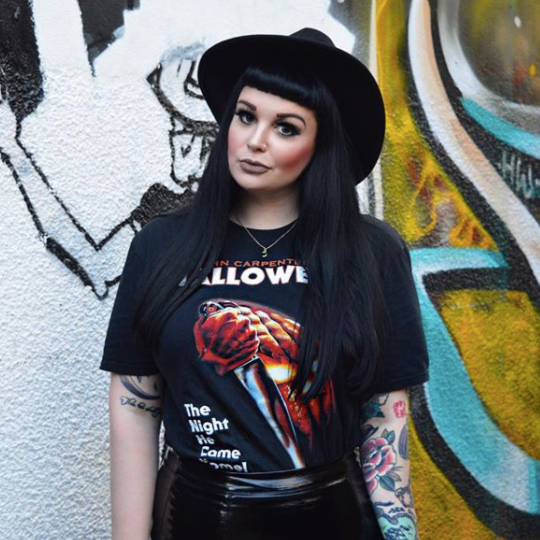 As always, I love reading your comments so please do leave me lots of lovely ones below. 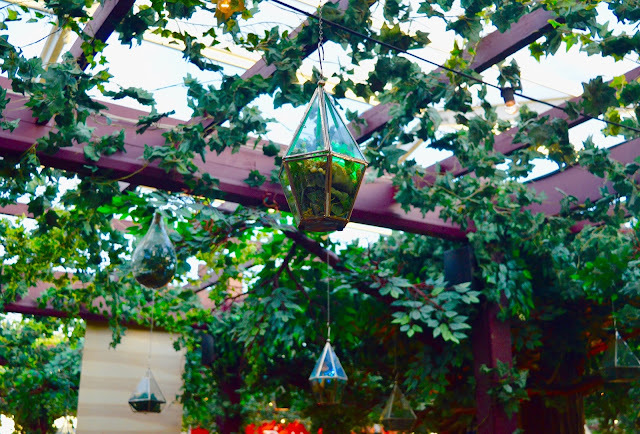 Disclaimer: This post was created in collaboration with Television Centre and Pergola on the Roof. All opinions are my own and do not reflect those of the brand. ive heard of this new decor but not been yet! i loved it during summer, I need to check the winter version out! 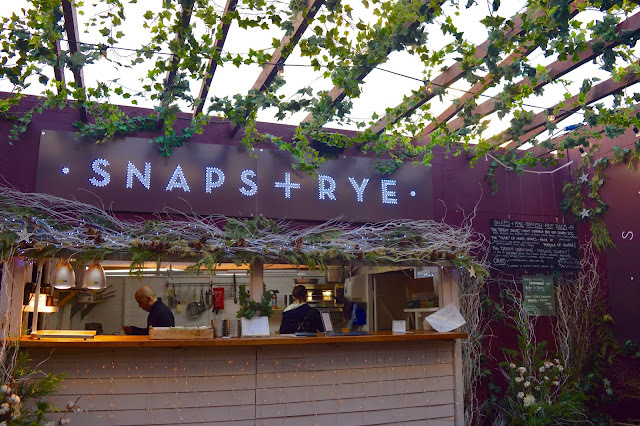 I was so gutted when I missed the summer pop-up & vowed to visit when I heard they were re-opening for winter but I just haven't had time, I really hope they do return next year as I've only heard good things!